After reading all the amazing positive buzz for GaymerX2, I wanted to rewatch some of the recorded panels from the original GaymerX that are uploaded on YouTube. While looking through all videos, I came across a really phenomenal talk titled "Something's a Little Queer: How Queerness is Changing Games Media" by the amazing Mattie Brice which I somehow missed while attending the convention. Mattie is a queer activist, game critic, game designer, and all around super smart lady! During her panel she discusses the positive effect minority gaming fans can have on the games media and game publishers. It's a really interesting and empowering discussion and I definitely recommend everyone check it out! One of the topics that Mattie mentions is how we as fans can support independent queer writers by just giving them positive comments or by passing along their articles through social media. I know she was mainly speaking about the realm of writers and bloggers, but this inspired me and to share some information and act as cheerleader for a few awesome LGBTQ games that have come out within the past few years or will be released soon. First, I wanted to talk about Mattie's own game called Mainichi which she mentions in her above panel. "Mainichi" is Japanese for "everyday" and this is an autobiographical game dealing with Mattie's everyday experiences as a transgender woman and showcases typical challenges those in the trans community face daily. The game may seem short, but you are encouraged to replay it and make different choices each time. Mainichi is free and available for Windows and Mac. Go here and download it for yourself! Coming Out Simulator is an interactive visual novel style game created by Nicky Case for the #Nar8 Game Jam. Another autobiographical game were you relive the night the creator comes out to his parents as bisexual. This game hits very close to home for me and was hard to play at times, but definitely very poignant and worth a playthrough! 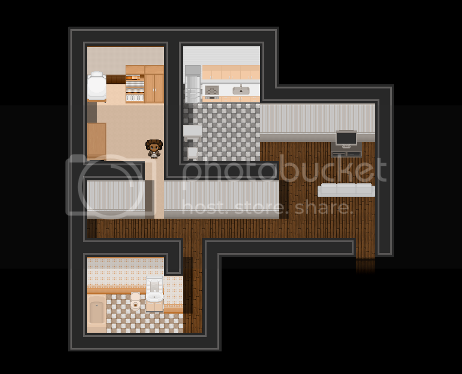 Coming Out Simulator is free and can be played in your browser with flash. Click here to give it a try! 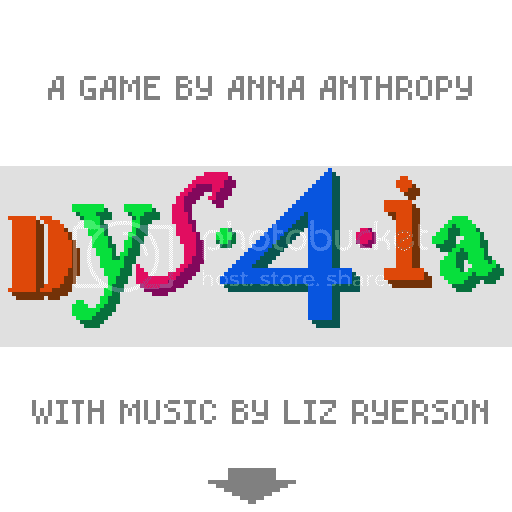 Dys4ia is made by game designer Anna Anthropy and chronicles her experiences as a transgender woman undergoing hormone replacement therapy. The game is crafted with beautiful surreal minigames and graphics that harken back to old-school computer programs. It offers a rare window into a difficult experience that many of those in the transgender community go through, but still offers a touch of humor. This game is also free and playable via flash over at Newgrounds. Click here and try this game out for yourself! My Ex-Boyfriend the Space Tyrant is a point-and-click Adventure game made by Luke Miller with art by Joe Phillips. This is a queer themed love letter to games like Maniac Mansion and the King's Quest series. In response to gay characters being heavily unrepresented in video games, Luke turned up the queer dial to 11 with this game making almost every character, spaceship, and object completely flaming or full of camp. The game is very lighthearted and worth a playthrough for gay gamers who love the point-and-click Adventure genre. My Ex-Boyfriend the Space Tyrant is currently available through Steam for $14.99. Read Only Memories is a cyberpunk themed graphical adventure game, made by MidBoss, LLC which consists of some of the rad folks who founded GaymerX! The game definitely draws inspiration from Hideo Kojima's Snatcher as well as various other 90's Sci-fi video games and anime. (Side note: I loved the Shin Megami Tensei II dance club reference!) In contrast to My Ex-Boyfriend the Space Tyrant, the LGBTQ themes are ubiquitous but understated in a really cool way. Near the beginning you are asked to choose your preferred pronoun and many characters in the game casually reference the fact that they are queer through either flirting or a passing mention of their boyfriend/girlfriend. This creates a really colorful and interesting LGBTQ inclusive world which manages to even give depth to NPCs with very small roles. You play as a reporter living in Neo-San Francisco who is tasked with finding the whereabouts of a kidnapped acquaintance. For me, one of the game's highlights is your adorable AI companion, Turing, who acts as both your investigation partner and comedic foil. The game also features really cool well animated pixel art which you especially notice during Turing's adorable facial expressions. The prologue and first chapter are currently free to play on Ouya, but the full game will release soon on Ouya, iOS, Android, Mac, and PC. You can preorder it here for Ouya or Steam here for $9.99. Also, be sure to help the game out by voting for it to be greenlit on steam! Click here to vote! The last game I wanted to mention is Fragments of Him which is an upcoming release from Sassybot Studio. Fragments of Him is an interactive narrative game that tells the story of man whose boyfriend has recently died and the rippling effects it has on his life. This release is actually an updated and expanded version of a free prototype the team created as part of the Ludum Dare Game Jam. It definitely looks really promising, if not heartbreaking. The game is available for preorder at this link for $12.37 I think until 7/31/14, or if that deal is expired you can preorder it here for $20. I apologize I'm sure I missed mentioning a lot more LGBTQ games that are out there, but I just wanted to to highlight a few titles. Even if none of the games I mentioned look appealing to you, I encourage you to tell others about them and spread the word! In the current gaming generation having more diverse voices in the development field can only enrich the medium as a whole. Even if you don't have programming skills, there are resources out there like Twine or RPG Maker that give anyone the power to make a game for themselves. I look forward to seeing more and more games from the LGBTQ community in the future! Thanks, Bryan! ^^ I'm particularly looking forward to Read Only Memories after playing the demo on Ouya! Hi there! I'm a gay gamer and Japanese translator! I blog about video games, anime, and Japanese culture from an LGBTQ perspective. A New Blog Draws Near. Command?